Rhinegold rubber reins with ‘Flexi Aid’. Made from the finest grain leather. 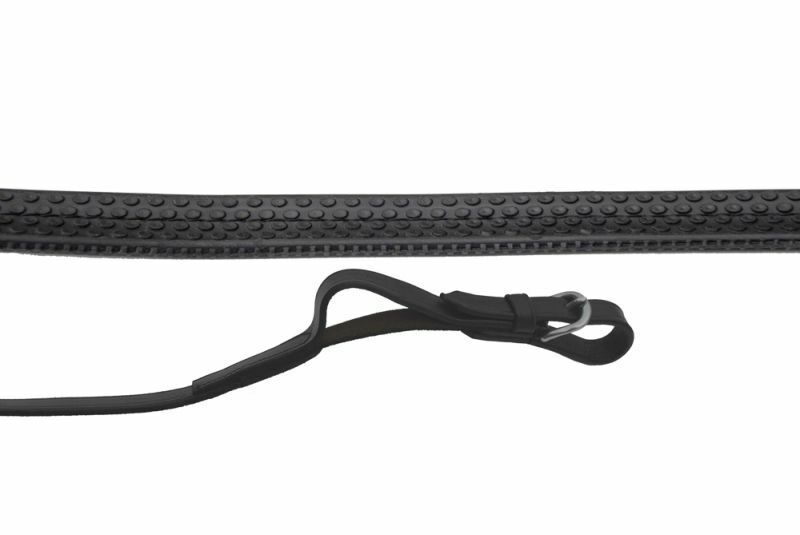 Features elastic insert at end of rein to give the horse a more comfortable feel to his mouth.